On the go? Take me with you! Fill the tub to the top and sprinkle in the soak. Buff away your worries with a little polish for the skin. Finish by buttering up from head to toe in relaxing comfort. 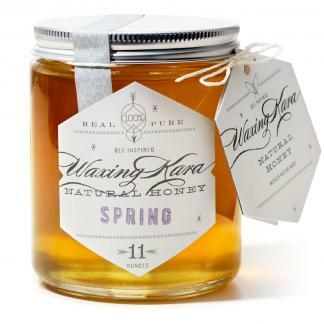 Treat your lips with the soothing moisture from honey. A Medium Spa Bag has it all. A Medium Spa Bag makes a special gift. In each Medium Spa Bag, you get a taste of the Waxing Kara experience. 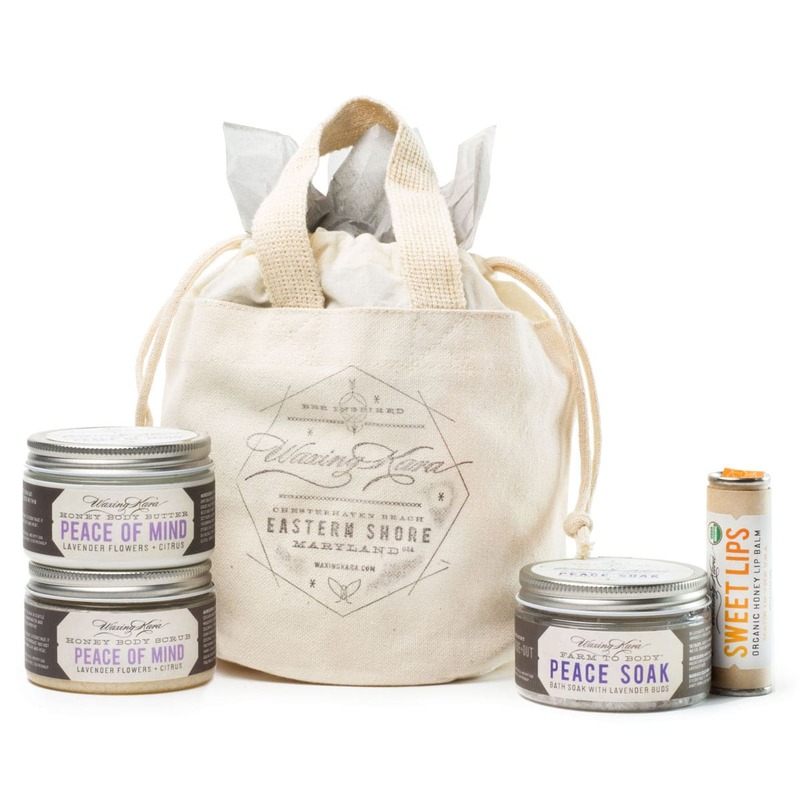 Each 4 ounce jar of product is meant to soothe the body and mind so you can really relax. Made with only the finest ingredients like plant butters, essential oils, mineral salts, and honey to nurture the skin. Free from parabens, artificial fragrances, petroleum, and sulfates. Choose from Peace of Mind, Blossoms+Bourbon, or Strength fragrances. All perfumed with only pure essential oils. Our Honey Body products are handcrafted by teams of incredibly talented and knowledgeable estheticians, product designers, chemists and artisans who carefully craft products in small batches to ensure exceptional quality and consistency expected from a premium line. Our teams utilize only the finest natural ingredients (using as many organics as we can) including certified 100% pure essential oils and other carefully selected natural ingredients to awaken the senses and provide powerful treatments to soothe the mind, body and soul.